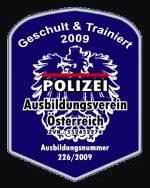 Since 2009 trainee schooling by the Police Educational Association. The certified training of the European Police Training Union offers the participents the posibility to reach the highest levels of knowledge and competence providing them with the subsequent certification according to ISO 17024. Trained by the I.S.A. (International Security Acadamy) in Israel. Our training enables each and every trainee to offer a dependable, efficient and professional service for our clients in the immeadiate vicinity or even crossing the regional and country borders. Our graduates have been trained to cope in sensitive areas, whether the transport of personal belongings or the securing of sensitive properties, are totally efficient needing no further training.